Bill Gates once said that we’re already eighteen years into the new century of the future. And that future calls for empowering people within your community – empowering your own leaders. This is an important, even transformative, shift in our world today. 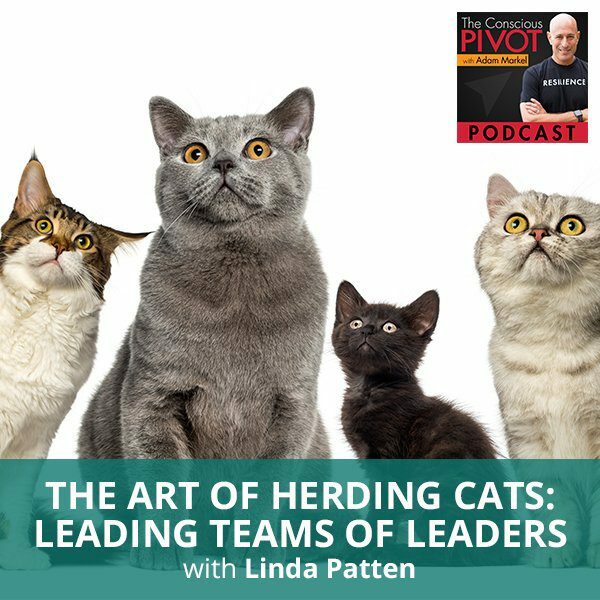 Linda Patten reveals some powerful insights about leadership as she talks with me about her book, “The Art of Herding Cats: Leading Teams of Leaders”. Linda’s company is working hard to shift the management paradigm to empowering the people we work with, rather than just managing them. Linda also discusses why now is the time for women to own their leadership ability in order to affect positive and lasting change. Linda is creator of The Art of Herding Cats, a 12-step program that transcends reluctant leaders into powerfully successful leaders. She is also the founder and CEO of Dare2Dream with Linda and Waynflete Event Planning. With 40 years of leadership experience spanning the military (including protocol officer to a 4-star general), corporate, entrepreneurial and network marketing arenas, Linda Patten has trained thousands of men and women to step into their natural leadership roles, build their success, and achieve their dreams. I had a bit of a travel day. It was a short trip but it was active. I was on my feet. I had a wonderful speaking engagement for a group called Success For All. It’s a foundation and it was started about 30 years ago by two researchers from Johns Hopkins University. They work with Title I schools who created cooperative learning programs, reading programs that have done some incredible work. They’re in more than a thousand schools in 40 states and it was such a blessing to be on-purpose in the sense that I love to train, I love to speak, I love to teach. To have an audience of teachers, who for me are leaders. To be able to love on and give my heart and soul to these teachers for the time I had with them. Keynotes are not typically long but we dug under the surface. We’ve got a bunch of great things discussed and brought out into the open and mostly, we celebrated them and acknowledged them for their services, for the things they’ve been doing for children. That felt great to my soul. I had some business meetings all day long and I was finally on a plane flying home. That’s the life some days. Feeling energized and grateful for that. A lot of you out there are in pivots of your own and doing some great things in your careers and your businesses. I highly recommend if you’ve got something that’s inside of you that wants to seek expression that is trying to seek expression, there’s something you want to say, there’s something you’ve learned, there’s something that you want to share with the world, now’s a great time to do it. There are many ways to do it. You can write a book. You can sit in front of a microphone and create your own podcast or you can Facebook live. There are many ways to get out and do that. All I can say from my own experience having done this almost ten years now, it is truly a blessing. It complements any business. It doesn’t have to be a standalone business of its own. I can tell you that it can be as well. It can be very rewarding financially and more than the money, it is incredibly purposeful and it has a great impact. I am in this moment grateful. That’s the way we always begin this show with gratitude. I am grateful for that. I’m also grateful that I have an incredible guest with me for the show. Linda Patten has some amazing experiences, life experiences, business experiences. She’s going to be somebody that we’ll enjoy having conversation with. You will enjoy learning from her. I’m going to enjoy spending time with her. Let me tell you a little bit about her first. Linda Patten, Founder of Dare 2Lead With Linda, the creator of the book, The Art of Herding Cats – Leading Teams Of Leaders, is an international bestseller. She’s an author, she’s a gifted communicator. She’s regularly featured on live online business panels and interviewed as a guest in the subject matter of leadership and is an expert in that area. She’s a popular international speaker and seminar leader on business and leadership. Her life’s work is helping women own their leadership ability and gain the skills needed as successful leaders to make lasting, positive change in the world. Linda, welcome to the show. Thank you, Adam. It’s a delight to be here and I’m honored to be on your podcast. Thank you for asking me. In doing the work we do, we both get to introduce and be introduced. For me, when I listen to my bio, I sometimes get exhausted listening to some of those things. I always feel there’s something that isn’t being expressed that I want people to know about me. Is there something that isn’t expressed in that short bio there about yourself that you’d love for our folks to know about you? It goes along with my pivot. Where I started was with reluctant leaders, leaders who hid behind the curtain. That was me. I was the poster child for the reluctant leader. I was like, “You don’t want me out front. You don’t want me being visible in all of that,” and that pivot to being visible and being out there writing books, standing on stages of 500, being shocked to find out that 300 people wanted to be in your workshop. All of that is truly rewarding and it keeps me motivated and inspired every day that I get a chance to work with these women. Coming out of the military, I retired as a Major from the United States Army. I’d never thought of that as leadership until someone said to me, “I thought you’d lead us in this exercise. It’s what I expected of you.” That was the turning point for my life. I’ve been able to work with some phenomenal women to make change and we’re moving in a slightly different direction. Reluctant leadership, what an interesting concept. You were, yourself, reluctant to lead or reluctant to own your role as leader? More reluctant to call myself a leader, to own it and to step up into leadership. It was my client that I always put out front. I carried a four-star general around as this protocol officer. I would never have called it leadership until somebody had pointed it out and I looked back and I go, “We created his agenda. We drove him around, we took him to meetings, we created his lunch. We were leading him around the post.” and I was like, “Wow.” That was such an insight to me. What I say to the women that I work with is, “You lead whether you want to or not. You, as a woman, are a leader.” It may be a cookie drive, it could be the neighborhood watch, it could be the PTA, it doesn’t have to be in business. You get your kids up every morning and we don’t think about those as leadership activities. I was thinking about my wife, how incredible she is in many things that she does. She’s brilliant. She is not shy or anything like that. I don’t think she has any false humility about it. She’s not the one tooting her own horn and that’s pretty characteristic of a lot of women that they don’t toot their horn. Some are even on the side of ignoring the obvious or at least what’s obvious to a world looking at them, whether it’s other women or men looking at what they do. I look at my wife and I don’t know how she does so many things with so much love. I do a lot of things and I put a lot of heart into everything I do for sure. She’s so much more present and the level of her attention to the detail, the way that she takes care of things and is such an incredible mom to our kids and so there for them. That impresses me on a level that I don’t even know what to do with other than to tell her I love her as much as possible and take her out to dinner every once in a while. Adam, that’s true that women don’t want to take on that title because it has many interesting connotations. They shy away from it. They’ll do the work. What I used to love is I’d walk into an association, a networking group or whatever and the next thing I knew, I was on the board of directors. I go, “I haven’t even joined yet,” but they could see the fact that I brought that to the group. I didn’t always see that. Women, for the most part, it’s a gender heritage that we have. We have to be perfect. We have to support. We have to know 100% of the job before we take it. Somebody else will recognize the fact that I want that job. That is what holds the leadership back. It puts it behind the curtain because if I can’t do those things and I don’t feel I can do that as a leader, then I don’t want to be that. I would love it if you would take us into the mysterious mind of a woman who is reluctant in her leadership. Whether it’s the fact that she’s not stepping up or she’s stepping up but acknowledge it, that’s what she’s actually doing. It can be both or either. Oftentimes, we look at the quintessential male leader and go, “I don’t want to be that leader.” We look at the quintessential woman leader, at least what we used to be, and we go, “I don’t want to be that either.” Look at Dianne Feinstein, we go back ways when she was at that time, the first and only mayor. There’s a new one since we lost our mayor. DIFI believed that she had to dress like a man, she had to act like a man in order to get her agenda through the City Council. We look at that and we go, “No. I don’t want to be that hard. I don’t want to be that masculine. I want the feminine side to come in. I want that creativity, that collaboration, that love, that heart. I don’t feel I can do that stepping into a masculine model.” Rather than bringing the two together and making them both work, the feminine side creates, collaborates. Then, when it comes down to implementation, you turn it over to the male and say, “Here, go do.” We’re beginning to step into that blending of the two. You’ll see more leaders. We’ve got 300 more applications for office from women for the midterm elections. That’s incredible that we are stepping up to the challenge. You lead whether you want to or not. You, as a woman, are a leader. It’s this idea of how you harmonize those things is rich as a concept. We need more discussion, more conversation, more support. We, as all of us, men and women both, but with women in particular, I would look forward to and want more women leaders to step up and be in a role of influence in the world. What doesn’t feel great to me as a man is to see a woman that’s leading like a pretend man. That’s a term I remember Randi, my wife was using years ago. That the problem with a lot of the women she was working with and she was leading women’s circles and things and these women came in out of balance. To me, it was out of harmony. Regardless of how you look at it, they were not happy. They were unhappy, miserable in some cases, crappy relationships, marriages that were going bust and this thing and that thing. Their business was working. Their finance is in shape. To do that, it was almost they had to sell out the most feminine aspects of themselves or put having a family on hold, so get married later, have kids later or maybe never have kids. Not because they didn’t want to have children or have a family, but because it would interfere with the process that it would take for them to compete. A male or a masculine concept more than a collaborative or more of a feminine way of looking at things, but they’d have to do that to compete in a male-dominated workplace. Having come out of the military, which is traditionally more male than female, it was very interesting. When I started in the military, if you got pregnant or you’re married that was the end of your career. The types of women who stayed and we’re career women in the military, for the most part, were lesbians. We loved them because they were powerful women in their own femininity. That was incredibly brave. It was male dominated and now we’re hearing all tales of sexual abuse in all aspects of business. The military was targeted. Now, we have women who are leading male units. It amazes me how far we’ve come and yet we still have that sense of I need to be asked. I can’t dip into that. I asked my women who say, “I thought I’d get that promotion.” I said, “Did you ever raise your hand and say, I want it?” “No. I thought that they would see me.” I go, “No. They don’t see you. They see what’s like them and you’re not like them.” That’s who they’ll choose first, which is sad. I even have a client that’s overseas who was passed over for something and she’s the second in command, which in your language the 2IC, in a major company and was passed over for a significant promotion, a significant raise in her salary and bonus structure. She’s upset about it. I know women are passed over because one, we don’t tell our masculine leaders that we want that job. We are qualified for that job and we will do an outstanding job with that job. We’re not seen. What tends to happen is because it’s a male leader, is that he sees the people who look him, sound like him, and are ready to step in and have said, “I want that job.” In a lot of cases, we sabotage ourselves by not stepping up to, “This is the job I want, this is where I want to go, this is why I’m qualified,” and own it and take that leadership position. Including the responsibility for not getting the result, not getting the promotion. If you’re expecting somebody to be not a mind reader, but to see you. They have to see me. I’m emailing this person sixteen times a day. I’m in their office next door to them. Leading Teams Of Leaders: You have to be visible. You have to step in with conviction of your beliefs. Will you tell me if this is your experience as well working with women? Two-thirds of the community are women, in our world as well in the pivot space, there’s plenty of men as well. People don’t like men and women. They don’t like to hear the word, “No.” It means something. Rejection has a meaning to it. It could have been that this person said, “Thanks for the idea.” “No. If we decide to take this thing and run with it, it’s going to be Bob’s thing. I feel strongly he’d be the right player on the team to take this. With all due respect, I appreciate bringing the idea, but it’s not going to be you.” What would you do with that? There’s a lot you can do right there and then with that. It’s honest. It’s great feedback. You may not want to hear it but it’s still useful feedback. Would you agree? I do agree. What I’d want to find out from him is, “Tell me, what’s not there? What don’t I have that would make me the ideal candidate? Can I be the number two on this project? If indeed there were things that I was missing, experience-wise,” although you know the fact that men will take a job that they know 10% about and then learn the rest and that’s okay. Women need to know it all. If he truly says, “I think Bob has a little bit more experience in this area. I think he can bring it to successful implementation.” I would ask, “I’d love to be number two then because then I can learn from him what I don’t know.” Not something that she would normally do is ask that question. This is all about empowerment. One of the things that Bill Gates said at the end of the last century is that, “Leaders in the next century, now will be those who can empower others.” That’s a real key shift in our world now. We are looking to empower the people who work with us, our followers or whoever, rather than just managing them. I have a company who wants to turn that on its head. I haven’t quite figured out all of that but it’s interesting. Gates, in essence, is saying in this new century, speaking of the last and moving into the current one, we’re already eighteen years into this new century, it’s hard to believe that, but it’s true. We’re talking about empowering people within your community, within your command, to empower them. That is the transformation that’s promised at least by Bill Gates. It’s true is that teaching, that training, that giving experience to the people who work for you so they’re ready for the next job. You can honestly recommend them for something else. One of the worst things that can happen to you in corporate life is to become indispensable. What that means is, “I can’t do without you, so I can’t possibly promote you.” There are two things to do. One is to learn the next job you want, but two, to train that replacement. Empower them to take your job so that you can move up. That requires a mindset shift. Too many people would be thinking of, “Training my replacement? Are you out of your mind?” It’s like writing my own pink slip. It’s a scarcity mindset. It’s a shift from scarcity thinking to prosperity thinking or abundance thinking. Yes, I do train my replacement so that I can move on and continue to evolve versus getting dug in and committing to the status quo for the duration or some length of time. We know anything that’s stagnant ultimately decays and dies eventually. You’re a Major in the US Army for how long? I retired at about fifteen years. I didn’t go full-term and part of that was because I was up for Lieutenant Colonel and I hadn’t had any active time and there’s a story behind that. Is this your pivot story? Now would probably be a great time if you share a little bit about a significant pivot. It doesn’t have to be relative to this, but finish your thought on that, please. I had a phenomenal time in the military. I had a good experience. I also met my husband there who was one of five single male officers in a post to 5,000 women. I met him within six months of him getting there and we’ve been married for 43 years. That was a pivot in my personal relationship to say the least, not so much in my business life. Adam, there have been many different pivots. Getting out of the military was one, but while I was in the military, I learned that I could stand up in front of groups of people and talk and get troops to listen to me. I’ve got four-star generals to listen to me. That was powerful. I learned that I could be on the army recruiting team and recruited twice as many recruits as the males on my team. I shouldn’t have been on the team. There was another woman who should have done that. Got out, went into corporate and that was an interesting shift. The one that was the most dramatic is when I got out of corporate when Crocker and Wells Fargo merged 31 years ago. I decided to go out on my own and it was scary. I knew I had a contract with a training company that I worked with for until 2000. We thought we were going to do training and it turned out we ended up doing multi-association management and conferences and have done that for 31 years very successfully. The thing I learned in all of that and what I’m doing now is all around two words, command and influence. In the military, you use a command voice to get work done. You do this because of rank, not because you necessarily want to, but because of rank and I can command. When you try doing that in the entrepreneurial world, you end up losing your team. You’ll lose your clients. They’re what I call one and done. You can’t build relationships and people don’t want to be around you. While you might have a great product and you have a great movement, or in our case, we were fantastic at what we did. I kept my clients because of my business partner who was that heart-based, phenomenal man. When he died of liver and spleen cancer, I was on my own and it was like, “I don’t know how to shift into his role.” It’s taken a lot of experimentation and a lot of tears to make that shift to being more influential in my work. To work from my heart, from asking questions, being curious and getting them to tell me, “What’s going on?” What they need and not, “This is how we’re going to do it. This is the steps you’re going to take and this is where we’ll end up in three months,” and it doesn’t work. I’m writing a new book and now that I’ve declared this, I have to do it. It’s called No One Stood Up When I Walked Into The Room: One Woman’s Journey From Command To True Leadership. If you understand the military, one of the key things is as a senior officer, when you walk in a room, everyone stands up whether they want to or not, they stand up. It’s respect but it’s also the rank. Getting out and being in corporate, I still had people standing up as a vice president in a bank and that 20¢ will get you two dozen. You have positional power there. I’ve had rank, I’ve had positional power. When you get into entrepreneurship and you walk into a room, you’re lucky that they even acknowledge the fact that you’re there, much less stand up. We are looking to empower the people who work with us, our followers or whoever, rather than just managing them. I did have a real shock at a speaking engagement that I did. I went over to the table that I was going to sit at and I put my coffee down and the two guys who were sitting there stood up, I was shocked. It was like, “Thank you.” He said, “My momma taught me right. I always get up when a lady sits down.” I thought, “We, as women, did that to ourselves when we said in the women’s movement in the ‘70s, “We don’t want you to stand up. We don’t want you to hold the doors open. We can do that for ourselves.” I was like, “No, I really like that.” The book is about that transition from command to influential leadership and how to make that happen and recognizing it as well. Is command more the masculine piece and influenced the feminine piece? In some respects, yes. Command comes out of the male military. We, as women, took on the aspects of the male military. Women in the Air Force, we basically use almost all of their traditions and that command voice is what they use on parade fields. Whenever you’re in any formation and your troops all know that you will use it with them if they’re not doing what you want them to do. It’s not a shock to them to hear you create a command voice to control the environment in essence. In war time, you don’t want anyone questioning you at that moment. You can question either while we’re planning or you can question after the fact. When we’re in motion, you follow that command, whatever that command was. Yes, you have the ability in the planning phase to put your voice in there but once you’ve decided on what you’re going to do, it’s command that makes that happen. Whereas the influence side is more the feminine collaboration, “Let’s build a relationship, let’s do this together,” thing where you’re building a relationship and all the work that you do around that is based on that relationship, not based on the fact that I have positional or rank and can tell you. We’re not up here, we’re on the same playing field. Even in client relationships, in coaching, you’re on equal footing. I may have more experience in this but I’m learning about you. I don’t know you. I don’t know what your situations are. I don’t know where your wounds are or whatever. I have to learn about you just like you have to learn about me. That’s a powerful relationship that we build as consultants and contractors. You said that at the very beginning and you had a partner that was more the heart-centered person, more of that yin energy and that harmony between the two is important. People do want to be led. It doesn’t mean you’re going to lead their life or lead their business, but they certainly want to be given some roadmap and clear direction. That’s more often than not why they’ve gone to a consultant, a coach, a mentor or somebody because they lack that direction. They’re looking for that leadership, that clear and authoritative leadership but it can’t be exclusively that because that doesn’t work. People don’t want to be bossed and they don’t want to be commanded. Especially if you don’t know and it’s not possible for you to know the little details about their business or some other area that you want to help them in. It is both, this harmony between that energy, that listening, that curiosity, that leaning in, that patience. Whether you call that masculine or feminine, I don’t know that it so much matters. You’ve announced this book and we’re talking about what the structure of the book might look because in the subtitle it’s command and influence that you’re talking about. It’s juxtaposition or maybe it’s the way those two things interplay is an exciting concept. That’s one of the first things at least that I do with my clients as well is what’s that vision that you have? If we’re doing a movement, if we’re bringing a neighborhood watch into your neighborhood, what’s the vision? What does that look like? Why are you doing it? What’s the benefit to your community? It’s around safety, and security, feeling comfortable, happy and whatever it might be. What is that vision and take all five senses to make it happen. When people do that, they tend to be more influential because they sit in that. Command, basically says, “I have a vision but I’m not telling anybody and we’re going to bull through it.” That’s the other piece of it is aligning it with the other people who are working with you or living with you or whatever. Also finding out what their vision is and how do we make it all happen together. The book, Pivot, is interesting in that area because it’s foundational. What you’re saying to create clarity is the foundation. You cannot go any place in life with any real purpose if you can’t have a vision, if you don’t create a vision for where it is you want to end up. It’s that old expression or the statement George Harrison said that, “If you don’t know where you’re going, any road will take you there.” That’s an interesting point. That we are, in many ways, on a day-to-day basis, have to reacquaint ourselves or be clear that the vision that we have for where we want to end up is current. It’s not our parents’ vision. It’s not our spouses’ vision. It’s not the vision we had two weeks ago but somehow it’s not accurate and true for us at the moment. It’s a daily check in. I’m not saying you have to revisit the whole process of creating that clarity every day. You’ve got to check in and say, “Yeah.” Just like when you checked in with those realtors about their vision for what the end of the year would look like, they had no clue because frankly, they wanted to sell the house they’ve got, continue to get listings. Do the things that are urgent and important in front of them. That’s almost a triage way of living. You’ve got to create a vision for sure. You’ve got to enroll other people in that vision, which is where your ability to speak well publicly, your ability to speak with a wonderful balance. Also, include harmony in that of both the command and the influence. What you called that masculine command voice as well as the influence voice. The voice that opens hearts, that is a listening voice, is a curious and a collaborative voice. You blend those two things together. You’re not only a powerful presenter, a powerful speaker but that you’re speaking from a place of attraction. The authenticity will only attract people to whatever it is you’re saying and that gives you this great opportunity to enroll them in that vision. That’s how you build teams, that’s how you sustain and keep teams. That’s how you can leverage your time and leverage the tools that you’ve got to create exponential results. 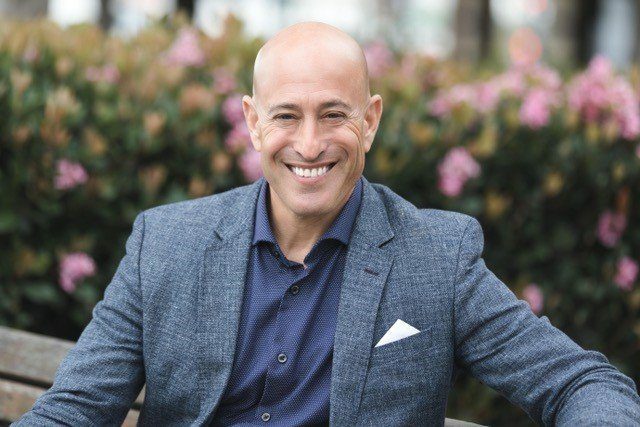 It’s not just, “You, how many houses can you sell?” If you had a team of ten people, you wouldn’t just sell 100 houses, each of you selling ten with ten people on your team. You might sell 500 houses because of the compounding effect of that. What a wonderful topic to include in a book. Will you share any of the things that you learned in the military and how you found your voice? Is that part of it? It’s my journey with some teaching points and success stories of women who have been able to turn their business around and their life around because of it. That’s powerful. I look at Dr. Martin Luther King and if he hadn’t had a vision, he called it a dream, but he had a vision of what the civil rights movement would look like. I remember this story, his advisors were all male and they’ll go, “Martin, don’t share that dream story. There’s no one out there who wants to hear that. They want to hear what your plans are and the power.” In essence, the command voice, when he got to the podium, he stopped. It was like he was confused, like, “What do I really want to say here?” Mahalia Jackson was sitting in front of him and she looked up at him and she goes, “Martin, just tell him the dream.” We’ve got that fantastic speech on the dream and what he saw and it moved a nation. It’s amazing what he could do but without that, we probably would not be where we are now. Although there are folks who say we’re not any further along in integration than we were when he first started to speak. There’s a whole movement called Teach Us All that looks at how segregated we still are in the United States. It’s very powerful. Leading Teams Of Leaders: Having more of a balance and even tending a little bit more towards the feminine side, the influenced side and only using command when it’s absolutely necessary. I believe his dream is still alive and well and people are still referring to it all the time. Clearly there’s debate about how far we’ve come and how far there is still to go. You don’t have to look further than the fact that we had an African American President for eight years. We’ve come quite a distance and I don’t know that he, Dr. King would have even predicted that. Possibly, but who knows. I certainly believe his energy and his soul is out there. That’s a personal belief but I don’t think our souls ever depart the universe. They’re just not here necessarily in our bodies. What a wonderful conversation. I enjoyed your presence, Linda, and the fact that you’ve got a great blend. As you said, you had a partner that was more the warm and fuzzy type. You are being out of a military background and part of your own pivot has been to be able to embrace that other side of yourself. To blend that, to be able to better serve your consulting clients, your coaching clients. They don’t want to hear you barking orders at them or telling them exactly what to do all the time. That’s been an adjustment for you, to retool yourself a bit in that area. It has, very much so. Having more of a balance and even tending a little bit more towards the feminine side, the influenced side and only using command when it’s absolutely necessary to make something move forward. Yes, I’ve become much more on what I call the soft side, the feminine side because I like that collaboration. I like working with people and I want them to stay and realize their dreams and their aspirations. We have a program called The Heart Of Enrollment, which is our speaker and sales masterclass. What I love about that program is that two-thirds of which are women that attend that program and are part of our Start My Pivot Community, etc. We cover what you’re talking about. This idea of how it is that you can both honor your true nature because to be effective as a leader, as a teacher, as a communicator, as a speaker, we cannot be in front of people with pretense. That’s the death knell for connections. The value in Dr. King’s speech and in any of the great speeches of all time was the level at which people connected to it. The level at which the idea that was in the mind of the speaker was birthed in the minds of the people listening and watching. That’s not a gift of nature. They weren’t born to do that. They practiced, they learned, they became that. They also had these moments where they were inspired in a way to communicate with their body language, with their voice tonality, with the variance, the way they presented, and with the quality of the words, of the language that they recreated that dream. They created that idea in the minds of those people listening. That is very much about presence, not pretense. It’s wonderful that women in particular are able to own that side, that true side of themselves. At the same time also be able to create the command voice, to own the command voice because one of the challenges with a lot of our folks that participate, whether it’s a speaker training or in some other area that they’re pivoting in, is a shyness about asking for what they want about doing. Sometimes it’s called the call to action and I like the term and also have some trepidation around the term because it’s usually associated with people saying, “Get up and go to the back of the room,” thing, which has its challenges for sure. There’s an energy about that. It is the ability convey your message and enroll other people in that message and be able in that process to ask for what you want. You will not have clients. You will not have coaching clients, consulting clients or clients of any kind if you are not able to ask for what you want. The person in the earlier example that got a great idea at work and offers the idea up to their supervisor but does not ask for what they want, which is to be the one considered to execute on the idea. Then they’re the ones standing in the wings going, “How in the world did I get passed over again?” It’s this blend of both being authentic, who you are, and also owning some part of yourself that at the moment is a bit dormant and that’s the voice of the command when required. Moms use it all the time with the kids. Their influence is subtle in there but when you’ve got to get out the door, the command voice comes in. It’s situational. It’s not always. The book is amazing. There’s going to be some rich examples. That one is going to resonate with a lot of women that there is that voice. You know that voice is there. You’ve got to get out the door, get in the car, etc. It’s like, “Get your shoes, get your jacket, there’s the door,” and people take you seriously. Those kids will listen to you in that moment. What a wonderful way that we’ve closed some loops in a great conversation. I want to ask you about your rituals. Is there a ritual that you have, that you do something each day that either reminds you of this work that you’re engaged in, which is leaning on that more feminine side of things at times? Is it some other ritual for your spiritual growth or some other area of your life that you’re developing still? Would you share that with us? If you were on a road trip and you didn’t know where you’re going, how would you know when you got there? There’s an evening meditation as well and I do that on a daily basis. There’s a lot. I walk with my dog every evening and he doesn’t say anything but having him there, I always know that I have a support. He’s the one that when I present, I always do my run throughs with him, very supportive. He’s got great eyes but he’s not critical, which is great. It’s that thing that I do on a regular basis. I write and I do at least twenty minutes a day, either working on the book or articles for magazines or whatever else that I’m working on or just writing about me, the vision, where it’s going, how it’s going and Dornoch, Scotland and all sorts of other wonderful things. This is an amazing woman; an incredible leader and it’s been a joy to spend time with you. Thank you very much for having me on the show. It has been an honor, truly. As we always open the show with gratitude, we’ll close it with gratitude. I don’t even want to use the word close because we just opened. It’s a new beginning and what a blessing it is to recognize that. A perfect way to segue into the wish that I have, the hope and the prayer that I have for all of us, which is that tomorrow, as now, that we wake up again tomorrow. Then we get to wake up a little bit more tomorrow than we even are now. That means waking up our minds, our consciousness and waking up our emotional bodies and our physical bodies. The best that we can do is to wake up a little bit more tomorrow than we are now even. We’ve got a good trajectory going when that’s what’s happening. In that moment that we do wake up, that we take that first aware breath, that conscious breath, we can be grateful. As we’re receiving that breath, just as we’re receiving this breath in this moment, all of us together, interestingly enough, all of us breathing together. One, as we take that breath, there are people who will be taking their very last breath. That’s a fact. There will be people that are being born who are taking their very first breath. That’s a fact too. What a wonderful thing that is. What a holy moment, what a precious moment, sacred even. In that sacred moment that we will all share tomorrow as we wake up, I will implant a phrase, if you are willing, to say this out loud, a declaration of sorts. I love my life. I love my life, I love my life. As those words have blessed me for many years and I’ve been further blessed, exponentially blessed to be able to share them with many people around the world. That’s what I wish for you tomorrow. If you’ve not subscribed to the podcast yet, please feel free to do so. You can go to AdamMarkel.com and subscribe. I also would love for you to leave a review on iTunes. Reviews are wonderful. The feedback is great for us and of course we love the five stars but whatever they are, whatever this is for you, please let us know. It’s all useful information for us. Lastly, our community on Facebook is growing and we would love to invite you. I am cordially inviting you to join us there. It’s called Start My Pivot Community on Facebook. The simple way to get there is to go to PivotFB.com. It takes you right to the front door. We curate that community and it’s filled with people just like you who are pivoting into something and maybe they’re in that pivot process, maybe they’re pre-pivoting so it’s a bit of a curiosity about what’s next. The Next Pivot, which is the title of our next book. However, it is that you join the community, please show up prepared to both receive and to give. It is an incredible group of people there and we look forward to seeing you. Until we are together again, I will just say again to you how lucky we are to be a part of each other’s lives. How lucky I feel to have you as part of our community. Much love to you and blessings as always. Ciao for now. Linda Patten, founder of Dare2LeadwithLinda, creator of the book The Art of Herding Cats: Leading Teams of Leaders, international best-selling author, is a gifted communicator regularly featured on live/online Business Panels, interviewed as a guest Leadership Expert, and a popular international Speaker/Seminar Leader on business and leadership. Her life’s work is helping women own their leadership ability and gain the skills needed as successful leaders making lasting, positive change in the world.